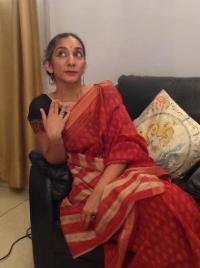 Tripthi Pillai (Ph. D., Loyola University Chicago) is Assistant Professor of Renaissance Literature at Coastal Carolina University and Coordinator of the Arts and Humanities Global Experience Program (AHGEP). 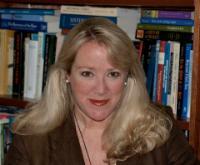 Her research and teaching expertise are in the areas of Renaissance drama, cultural studies, film, and critical theory. Her recent/upcoming publications include essays on interdisciplinary approaches to Shakespeare and Marlowe, as well as on global cinema, object-oriented ontologies, and the intersections of “graphene” aesthetic categories (including cuteness and creepiness) and the phenomena of social violence. At Coastal Pillai teaches Core courses in Literature and Culture and multiple upper division and graduate courses offered by the English department. She is an avid traveler and has lived in multiple countries. Most recently, she has led study abroad programs to the UK and France. As Coordinator of AHGEP, Pillai is invested in developing an environment of active global and cultural learning at Coastal, so students at the university can participate in and contribute to interdisciplinary projects that simultaneously address world questions and foster principles of active and conscientious global collaboration. 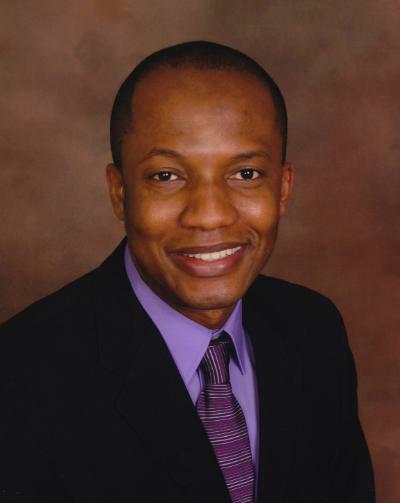 Richard Aidoo is Assistant Professor in the Department of Politics. He holds a Ph.D. in political science (international relations and comparative politics) from Miami University of Ohio. Aidoo teaches introduction to world politics, contemporary African politics, and international political economy. He also teaches a special topics course in political science that incorporates the themes and activities of the International Student Festival in Trondheim (ISFiT), Norway. His current research focuses on the varied impacts of the expanding role of China in the changing political economies of African states. Aidoo has published in different academic journals, and he is also the author of a collection of op-eds on Sino-Africa relations. Steve Earnest is Professor of Theatre at Coastal Carolina University. He has a Ph.D in Theatre from the University of Colorado at Boulder and an M.F.A in Musical Theatre Performance from the University of Miami. Work abroad includes numerous research trips and projects to all parts of Germany, Iceland, England and, most recently, China. Professor Earnest teaches Acting, Theatre History and Literature, Dramatic Analysis and many other subjects related to Theatre and Dance. Eliza Glaze in the Department of History specializes in the study of medieval manuscripts and archives. A recipient of Mellon, National Endowment for the Humanities, and other prestigious research awards, her published scholarship situates medical practice and thought as expressed in manuscripts within the context of intellectual, mercantile and educational/linguistic traditions, exploring the transmission of texts, practices, people, and commodities between the Greek, Islamicate and Latin European realms. She teaches courses on the History of Medicine, Medieval European History, Byzantine History, Sexuality & Gender in Medieval Europe, and Manuscript Studies. In recent years, she has begun integrating advanced digital skills to enhance her teaching and research in these areas. Glaze is International Programs Liaison for the Edwards College of Humanities and Arts, and regularly leads and teaches Study Abroad programs to Europe. Jeffry R. Halverson, is an Islamic studies scholar and historian of religions, specializing in modern Sunni Islam in the Middle East and North Africa. He joined the Department of Philosophy and Religious Studies at Coastal Carolina University in 2013. He previously served as an assistant research professor at Arizona State University. 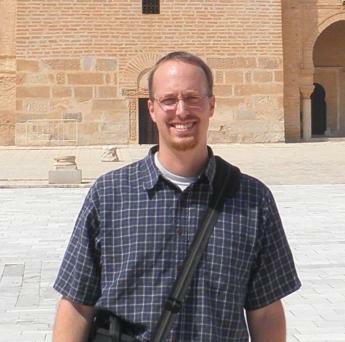 Halverson attended Nazareth College in Rochester, N.Y., and studied Sunni Islam in Cairo, Egypt, as a Fulbright scholar from 2000-2001. Halverson later received his M.A. and Ph.D. in Religious Studies (Islam in Global Context) from the Department of Religious Studies (SHPRS) at Arizona State University (Tempe). During his time as a research professor, Halverson also carried out research in Tunisia in the wake of the Arab Spring revolution. ? ?He is the author of Theology and Creed in Sunni Islam (Palgrave Macmillan 2010), Searching for a King: Muslim Nonviolence and the Future of Islam (Potomac, 2012) and lead author of Master Narratives of Islamist Extremism (Palgrave Macmillan 2011). Halverson's scholarship has also been published in several academic journals, including The Muslim World and The Journal of Communication. Teaching: History of Western medicine from Greek antiquity to the Italian renaissance, the Norman conquests of England, S. Italy & Sicily, the middle ages, the age of crusades, sexuality & gender in medieval Europe, manuscripts & archives, and the Byzantine Empire. Research: Kukai, founder of Japanese Shingon Buddhism, Gyoki Bodhisattva of Japan, Buddhism in film, and representations of Buddhism in Japanese literature.